Planetary news this week: Jupiter/Neptune & the Supermoon Eclipse! Video for this week here. There is a lot of buzz and excitement around the lunar eclipse on January 20th-21st (EST) because it’s a Supermoon (tm Richard Nolle), meaning the Moon is at perigee, its closest orbit to Earth. This means the Moon appears larger (because it is larger and lower in the sky, it will appear to be a red color and is therefore called a Blood Moon). Astrologer Richard Nolle has connected Supermoon events to intensified weather and geological events such as earthquakes and severe storms. With the Moon having a stronger effect than usual on the Earth, we can be certain that the effect on us as individuals will also be more powerful. 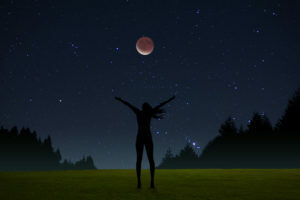 Eclipses are more intense in the areas in which they are visible, and this eclipse will be particularly powerful for those of us in North and South America. This Super Full Moon is a total eclipse astronomically, because the Moon will be obscured by the Sun, and this eclipse will last for a very long time – nearly an hour, depending upon your location (visit this website for more details about the eclipse at your particular location). Astrologically, the eclipse is not as powerful because the lunar nodes are in a different sign from the Sun and Moon and therefore not drawing as much power as if they were in the same sign. With the Sun in Aquarius opposing the Moon in Leo, questions of our own personal journey (Leo) relative to our transpersonal place in the world (Aquarius) will be highlighted. 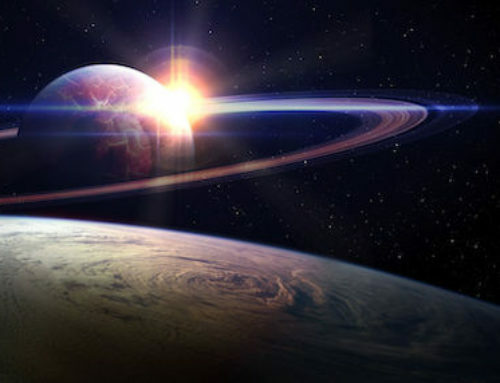 Three planets in Capricorn (Saturn, Pluto and Mercury) all ground us to the Earth and ensure that we pay attention to business and obligations, while an alignment of Venus (love and beauty) to Jupiter (expansion and abundance) in adventurous Sagittarius is a grace card to enable us to unfold our lives with renewed optimism and good fortune. This eclipse has the potential to assist us in finding the kind of balance we need in order to integrate both success and magic into our lives. Other major news this week includes the first of a series of challenging squares from Jupiter to Neptune (read more about that here). This alignment enhances our optimism and faith, and also opens our hearts to greater compassion. What it doesn’t do, however, is encourage us to be practical and keep our feet on the ground. Fortunately the three Capricorn planets described above will help us to stay balanced if we pay attention! You may feel lucky this week, but this is not a good time to take risks as with Neptune involved we may not be seeing clearly. 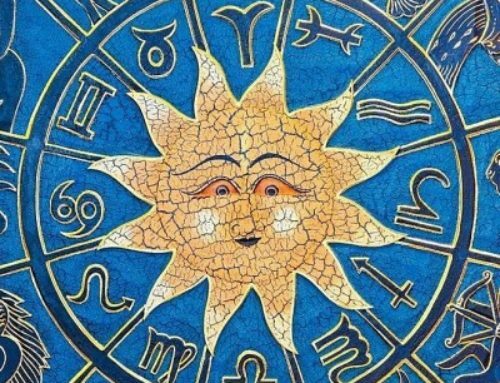 We may feel a bit out of balance between the 17th and the 19th as alternating expansive and challenging minor planetary cycles pull us in all directions. This is a good time for yoga, time in nature, or other such things to help us to find balance in a world that remains in flux. Is my relationship to my Ego healthy and balanced? Am I comfortable feeling a reasonable amount of pride in the good things that I do? Or am I overly self-involved, unable to see another’s point of view? Am I able to integrate my thoughts and ideas (Aquarius = air) with my motivations and drives (Leo = fire)? Do I put my own needs (Leo) on an equal footing with my desire for social justice and truth (Aquarius)? Am I able to put aside my desire for recognition (Leo) when it competes with the good of the collective (Aquarius)? Can I find balance between my thirst for instant gratification (Leo) and my ability to see the bigger picture (Aquarius)? Prefer video? Here’s one just for you. It’ s so close to my Saturn 29 Cancer, DSC and Mars 5 Leo squaring my natal Uranus. The Blood Moon was AWESOME last night. Over the past several weeks I have been reducing my time on social media and will continue until I am on it only a few hours a week. Many of my contacts have greatly reduced their time on social media also.I have completely stopped watching news stations, and feel sooo much more peace and joy. 2019 will be the year of healing. With more people working now, they will spend less time on social media and watching the news, which will heal the division and bring more Love, Joy and Harmony. Thank you Lynn for uplifting article.